This is my favourite way to stock up for the week ahead. I’ll play my new favourite cooking show on Youtube – and start cutting into beautiful ripe tomatoes, carrots, pumpkin, whole garlic heads, onions… all the makings of a savoury, sweet and nourishing tomato sauce. Fill a roasting tray until it’s full, and simply slide it into a hot oven. 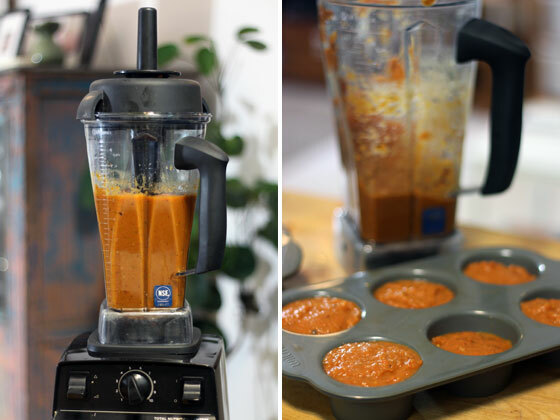 After it’s roasted, let it cool – then whizz it up in your blender. Add a little stock, water or milk to thin it out to a pasta sauce consistency. If you have it, add in a date or two to sweeten! Pour it into muffin trays and freeze. Once frozen, pop them out and store it in a baggie or container. Make sure to label it! Throughout the week, cooking a healthy meal is a breeze and when my kids ask for pasta for the third night in a row – with all the veggies that I put into that sauce, I don’t feel bad at all! P.S. tomatoes are often unripe at the supermarket. Early in the week, buy about 10 and let them sit out on your counter. By the weekend, they’ll be sweet, soft and ready to roast. Watching them change and anticipating its readiness is part of the fun! Let your kids know you’re slowly preparing their favorite meal — it’s a great way to enjoy the slower pace of nature and not always turn to quick fixes and instant results! Any other ingredients that you love – garlic, onion, chili, bell peppers, eggplant, or pumpkin. 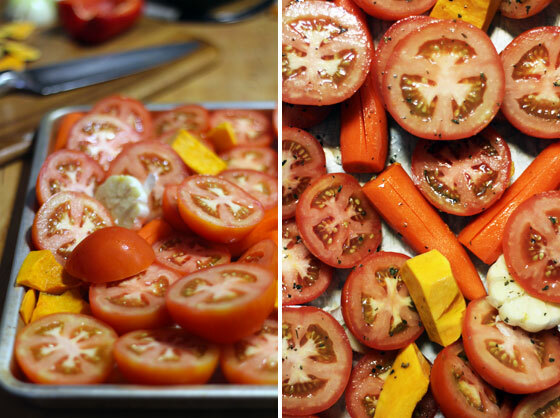 Cut your tomatoes in halves along with your other ingredients. Drizzle olive oil to fully cover, but not saturate. Sprinkle with salt & pepper. Roast in the oven for about 45 minutes or until oozing and brown. Bring it out of the oven and allow to cool. Then whizz it up in the blender, with a bit of water or stock until you get the consistency that you want. Add the pitted date for sweetness and salt & pepper to taste. 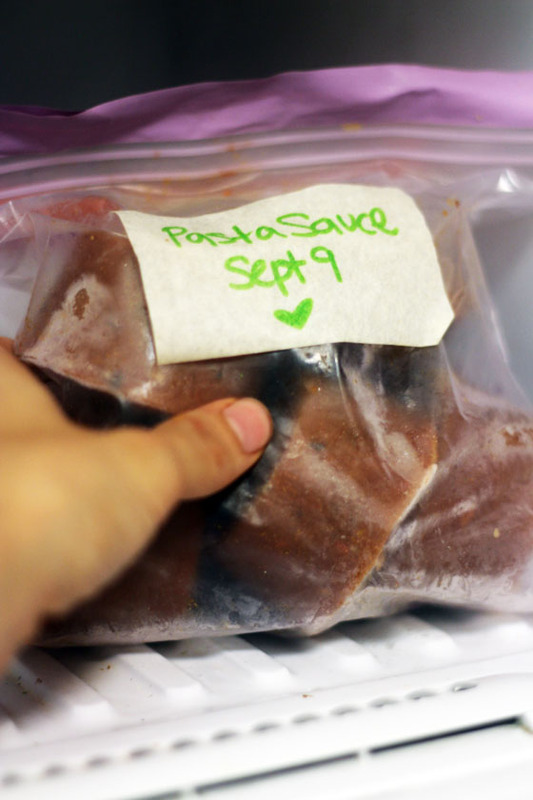 Store it in a jar and it will keep in the fridge for about 3-5 days or in the freezer for up to 6 months!